A Gatineau, Que., store owner said he hopes a fight in which he used bear-repellant spray on two would-be robbers, and gave one a spanking, will be his family's last. A Gatineau, Que., convenience store owner said he hopes a fight in which he used bear-repellent spray on two would-be robbers will be his family's last. "We don't want the fights to happen again, I hope no more happen again," said Zhen Yang, who said his store has been robbed four times in the last four years. 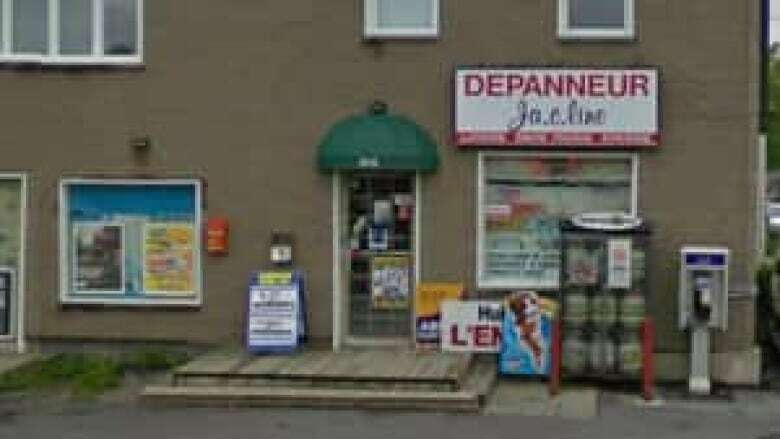 Yang was working behind the cash register at the Dépanneur J.A.C. Line early Wednesday morning when two masked men armed with knives approached and demanded money. Yang, who co-owns the store, refused to open the cash register and used bear-repellent spray on the two men. One man fled and Yang grabbed the other man and held him at the store counter, spanking him and then holding him by his legs. Yang's wife, who was upstairs with the couple's children, ran down and then kicked the masked man several times. The family held the suspect for several minutes until police arrived. Police arrested a 31-year-old man at the scene, and later Wednesday afternoon arrested a 21-year-old man. Both men will appear in court Thursday on charges of robbery and wearing a disguise. Gatineau police said it does not recommend confronting robbers, and instead recommends calling 911 and getting a good description of the suspects. But they said charges will not be laid against the clerk because the accused men did not complain. Since the incident, many people in the neighbourhood have dropped by the store to congratulate Yang. "When someone does stand up for themselves everyone's like, yeah, good job, because people get fed up with that stuff...it's everywhere," he said.